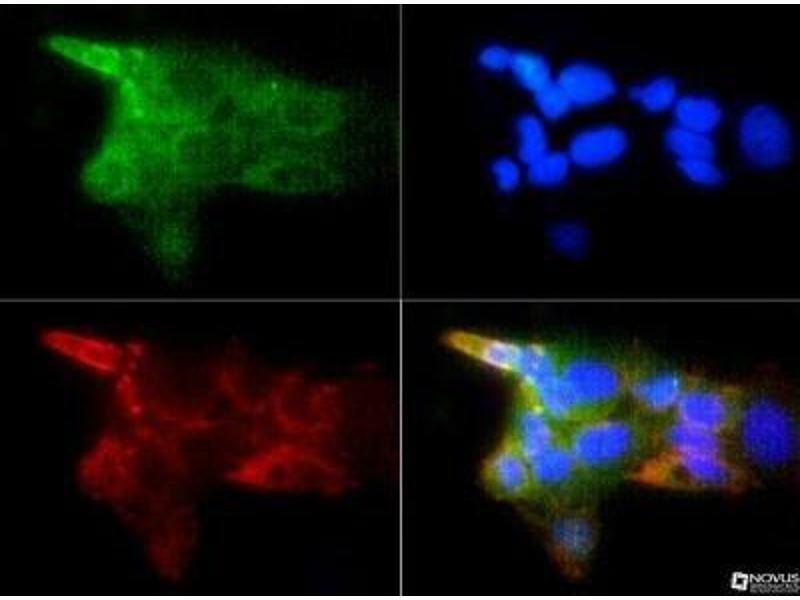 Immunocytochemistry/Immunofluorescence: IGF-I R Antibody [NBP1-77679] - IGF-1 R antibody was tested in A431 cells with FITC (green). 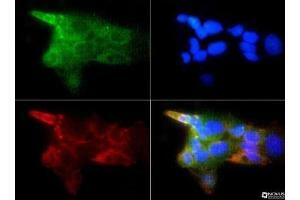 Nuclei and actin were counterstained with Dapi (blue) and Phalloidin (red). 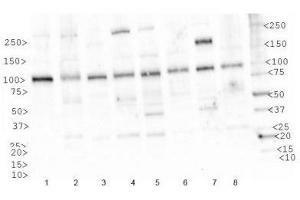 Simple Western: IGF-I R Antibody [NBP1-77679] - Simple Western lane view shows a specific band for IGF-1 R in 0.5 mg/ml of HepG2 lysate. This experiment was performed under reducing conditions using the 12-230 kDa separation system. 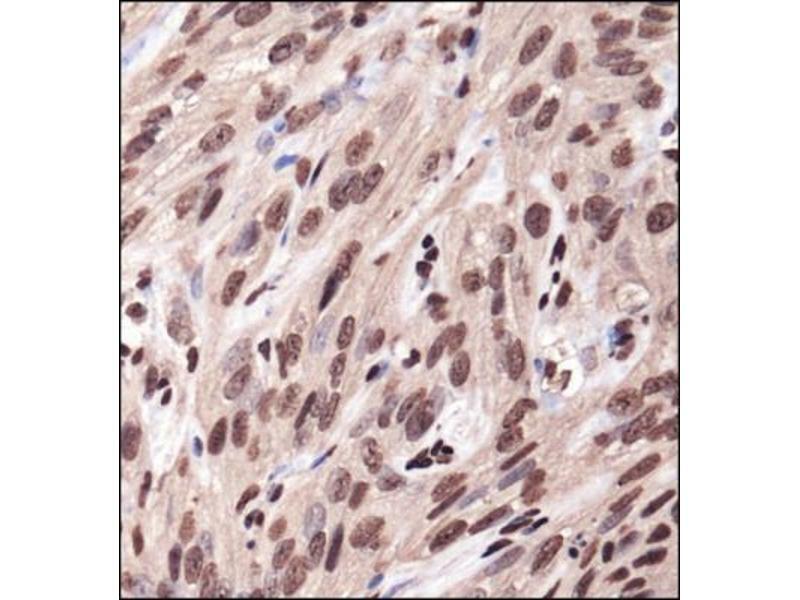 Immunohistochemistry-Paraffin: IGF-I R Antibody - IHC analysis of a formalin fixed paraffin embedded tissue section of the human kidney cancer xenograft using 1:200 dilution of IFG-I R antibody (ABIN4321574). 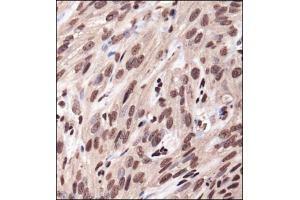 The signal was developed using HRP-DAB method which followed counterstaining of the cells with hematoxylin. Immunogène A synthetic peptide made to a C-terminal portion of the human IGF1 Receptor protein (between residues 1300-1367) [UniProt P08069]. 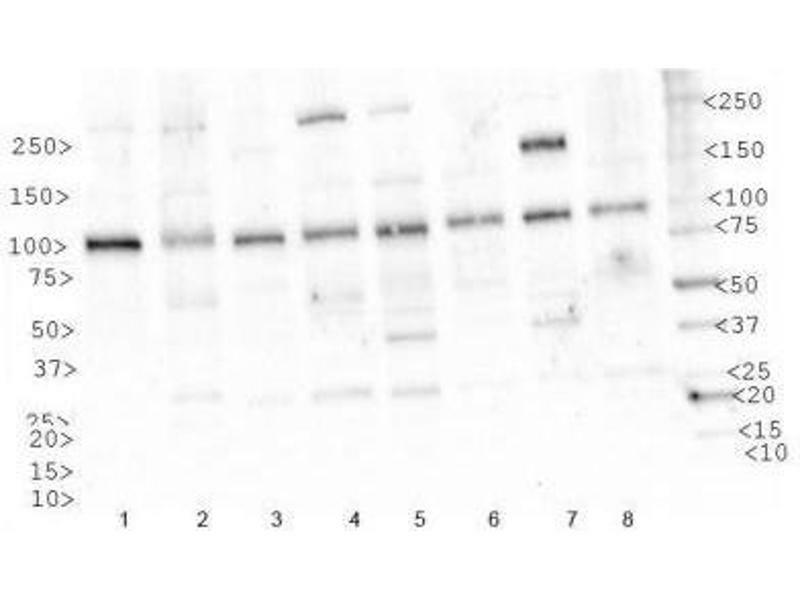 Indications d'application Western Blot 1 μg/mL, Simple Western 1:100, Immunocytochemistry/Immunofluorescence 1:50-1:100This IGFR1 antibody is useful for Immunocytochemistry/Immunofluorescence and Western blot where a band is seen ~100 kDa. In Simple Western only 10 - 15 μL of the recommended dilution is used per data point. Separated by Size-Wes, Sally Sue/Peggy Sue.